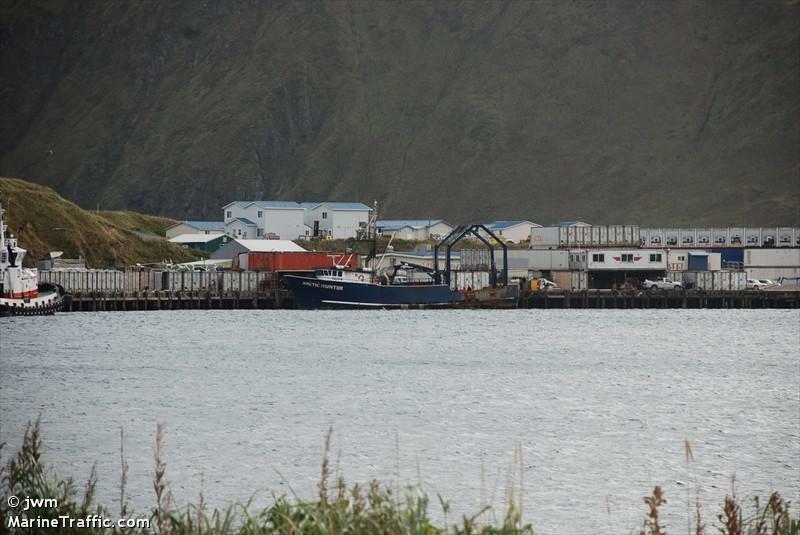 The 93 foot long, 308 gt fishing vessel Arctic Hunter went aground off Unalaska, Alaska. The crab boat was departing to start a fishing trip when it went onto the rocks near the cliffs off Morris Cove. No reports of injuries. A salvage firm was requested to aid refloating the vessel. The salvage crew will attempt to remove 12,000 gallons of diesel fuel and oil off the vessel. A storm was forecast to reach the scene later the same day. Authorities state that alcohol was not a factor in the incident. The cause of the incident has not been reported.